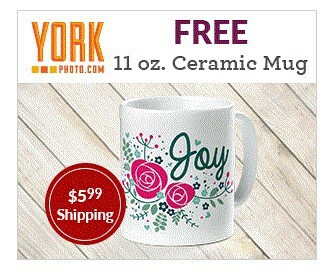 York Photo is offering a Free 11oz. Ceramic Mug. You will need to pay shipping and handling. You will need to use promo code FBHOT to get this offer. You will need to select a design and add photos and text. The York Photo Coffee Mugs are Microwave Safe, Dishwasher safe and make for cute gifts for family or friends.